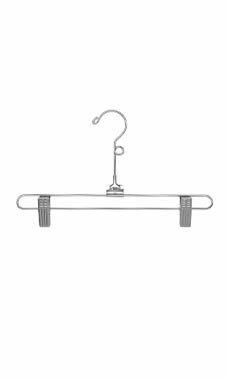 The Heavy Duty 12" Chrome Metal Skirt Hanger is just the right type of hanger for your retail clothing samples and sales floor needs. The hanger features a loop hook design element that creates a unique look for hanging apparel. The hangers are sold individually and can be coordinated with other metal hangers to complete the look.